Astral Pharmaceuticals - Product Details : manufacturers of generics and branded medicines, based in India. 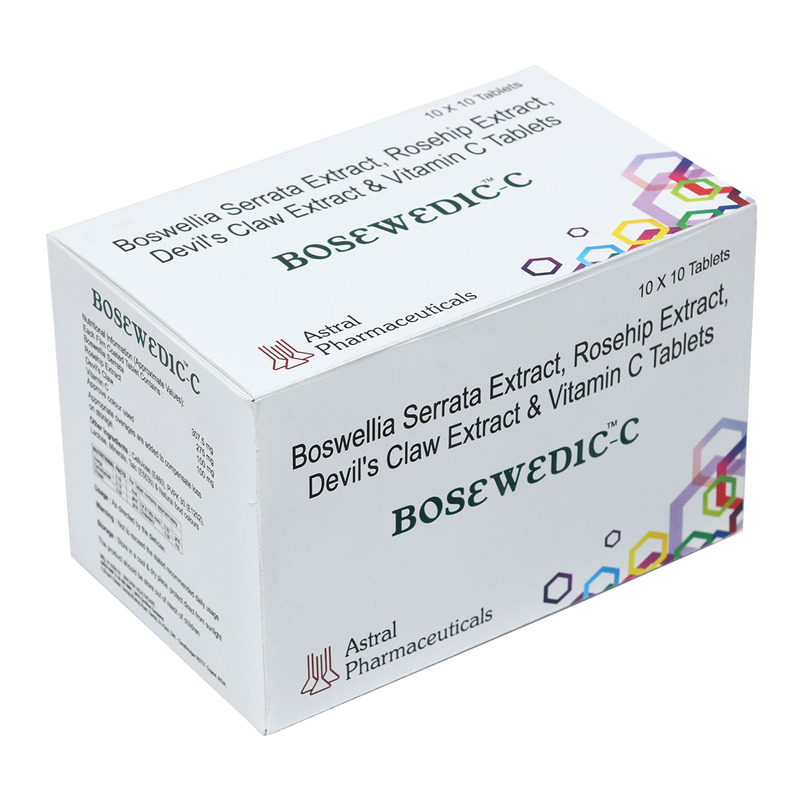 Boswedic C is a complete care of strong bones. 10X10 Alu Alu strips packed in multicolour laminated box. 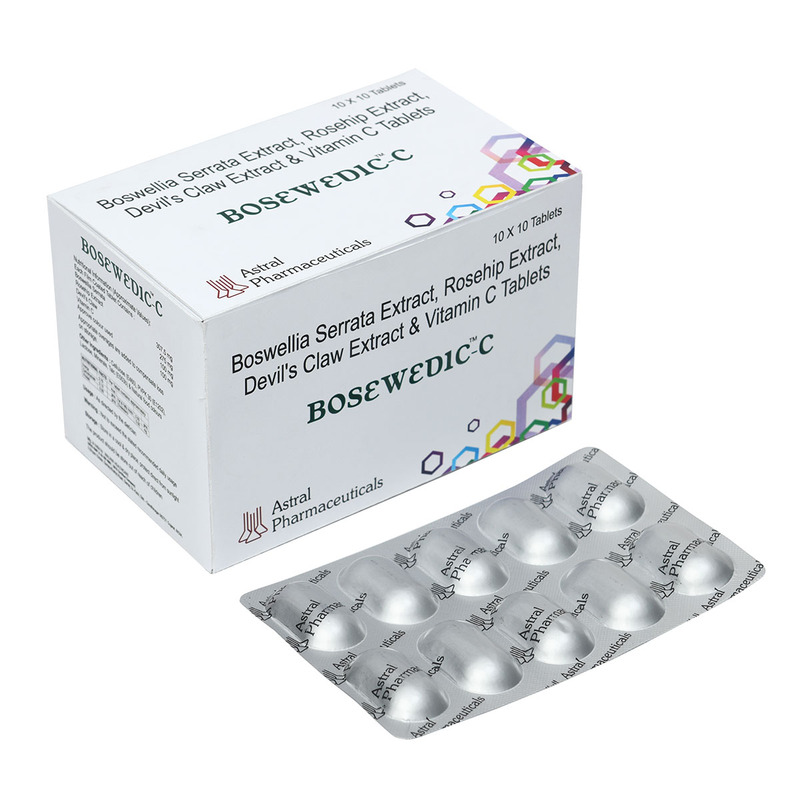 It is essential for treating infections. Heal wounds & form scar tissue. Helps to reduce Joint Pain & Stiffness. Promotes Joint Mobility & Flexibility. Vitamin C contributes to normal collagen formation for the function of bones, cartilage, teeth, skin & blood vessels.